Xubuntu is a community developed operating system that combines elegance and ease of use. It's hard for me to talk about what's the thing that I like the most about Xubuntu, because I totally loved it since the first time I began to use it. This Operating System is a very ease to use for anyone who never had used a Linux-based OS. The Interface is simple but beautiful and intuituve, just like I love about an interface. The different funcionalities that offers to users since the beginning is so accurate, because for begginer in the world of Free Software it turns out difficult to choose the best apps to make proper use of the operating system. Maybe, that in some occasions it seems that it doesn't handle the resources of the computer very well (personal opinion). Also, that if it isn't constantly updated, it starts to give errors when executing certain commands in the terminal. On the other hand, the handling of the permissions is complicated to use for the majority, even through the GUI that the system provides for this purpose. 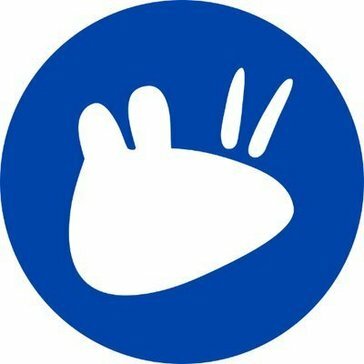 Don't think about using or not Xubuntu for more time, switch to this incredible OS that is easy to use and run very well in low-resources computers. The facilities that provide to carry out large projects in the professional area in which I operate: the Systems Engineering. It's easy to resolve problems about servers. On the other hand, the native support of certain programming languages like Python, C/C++ and the possibility of compile and run C#, .NET applications to be able to install an environment similar to Windows (Mono Develop) allows you to do multiplatforms apps without many obstacles. "A much simpler and lighter computer." I really liked his model based on Xface and thanks to this allows the best adaptability in system and software integration, it is not as complex as it is Ubuntu, the window openings are much lighter occupying less RAM and with more efficiency, besides being visually more attractive and modern. You still find some incompatibility with certain software designs and games, this forces you to find a replacement for the functions you need. The lightness and the simple thing that it is allows a total comprehension on this operating system and also consumes very little resources unlike many operating systems. With this operating system I solve a lot of the errors that the Xface had and increased the stability in terms of program management and file terminal. "Fast and intuitive, even on older computers"
Clean, clutterless Xfce interface distro for my favorite operating system - Ubuntu. Needs lesser resources than regular Ubuntu distro. Works with just 512 MB RAM and 5 GB hard disk. Even with lesser resources, I am able to run all my general use software at same efficiency as the regular Ubuntu. Exhaustive documentation is available. A very active community forum is also available if we get stuck with something. And, best of all it's free! Works on computers with less than 1 GB RAM. Users migrating from other operating systems like Windows, or other Linux distros, should consider using the Xubuntu distro rather than the regular Ubuntu distro. Does not make legacy machines obsolete. Able to use a decade old laptop with same efficiency as in the previous two LTS releases of Ubuntu on better, latest machines. Xubuntu is a Linux OS, a variant of Ubuntu. This is very easy to use for everyone because Xubuntu looks like Windows OS, we can program and using Xubuntu like a real and basic operating system. This Linux OS is 100% customizable, we can create a desktop like Windows or Mac OS, or like basic Ubuntu. There is a lot of software and this is a fast operating system. There is 2 options for installing : a graphical and a programming setup. I personally use the graphical setup this is very easy to install. There is every languages, good and easy to setup and use like another operating system ! Everything we want for an OS is in Xubuntu, and because this is with the Linux core, this is open-source and customizable ! The only one problem I dislike is for every softwares, there is software for linux, windows or macOs, If we switch to Xubuntu, every tools and softwares we used are not compatible with Xubuntu for example Windows softwares. I know there is a linux tool for installing and using Windows software in Xubuntu (the name of the tool is Wine), it's cool but a little unstable, so, I don't use it, but everything we need is already on Xubuntu. I can recommend Xubuntu for everyone who came from Windows Os, and wants to use Linux ! We try this for programming data servers, and for our development team, it's better to program on Linux than on Windows or MacOs, and more faster because there is only the essential ! "Stable, secure, lightweight and attractive, everything you need from an operating system." The stability is one of the points in favor that Xubuntu has, it allows you to work without problems and without the typical blue screens of another very popular privative operating system. In addition, it is fully customizable, so I can choose what to install and what not. Another factor that I like very much is security, you do not have threats that generate so much headache using a proprietary operating system. Also, I really like the elegant style offered to the user, it is not necessary to have large graphics cards to make your experience a pleasant one. The factor of the community that supports it is another of the things that I like the most when you have any doubt or problem, you immediately receive support from a whole group of free software enthusiasts who are there at all times. Since I've been using everything I thought was great, I have no complaints or problems generated after the installation of Xubuntu, quite the opposite, many benefits in a single operating system. One of the wonders of Xubuntu, is that it allows you to use the resources of your computer efficiently, it provides long-term support for a community that is always there to dispel any doubt, and you save a lot of money by avoiding the payment of licenses, for all those reasons I recommend it widely, give it the opportunity, it is one of the flavors of Ubuntu that will change your opinion about free software. Viruses, that recurring problem that in proprietary operating systems are practically presented every day, with Xubuntu is something of the past, we have achieved tranquility and stability, which translates into greater productivity times for each worker because there are no problems of performance in developing each assigned work. Another benefit that we have obtained after its installation, is to have a system that allows taking advantage of equipment with limited hardware, which saves us money with the purchase of equipment at a time when growth is the main objective, these teams go to the management of appointments to customers and other simple requirements that do not merit great hardware capabilities. Though ubuntu has many bugs yet Xubuntu has a good bugfree version and use very less resources. XFCE is very good. All the features that one like in ubuntu are better in xubuntu. It can be considered for any old device we have. It is hang free even on core 2 duo system with just 2 gb of ram. The installation is very easy and fast. It has a bad hardware detection. The themes are bad and fonts are not nice either. But as we have to deal with pretty old machine UI can be neglected. It is a nice distro for an old system with low resources. It is efficient and smooth but don't expect nice UI. UBUNTU + XFCE is Xubuntu. We had some important information in some old machines and we utilized Xubuntu for the information retrieval. It had all the features we expected for the same. We chose the features we needed to install and it behaved fast and reliable. Xubuntu is simply amazing. Not in a way of how flashy it is, but because of how light and fast the OS feels. I'm running every OS imaginable (Win, macOS, Linux) and find Xubuntu to be the best for when you need to get maximum efficiency out of any hardware. Yes, it might not be an ideal OS for media creators, but for marketers it's more than enough. I like how light Xubuntu feels and the fact that you can customize it the way you want the system to look and behave. With every major release come new bugs and issues. This is a plague of all Linux distros, but still. Each time I have to wait a few months before deciding to upgrade the system as a lot of the stuff I need daily might brake. Overall, if you know what you're doing, there won't be problems, but I would still like to see some more stability out of Xubuntu. The best Linux-based OS out there. If you're looking for a free alternative to Windows which does everything and some more, Xubuntu is a perfect choice. My daily work driver. Every app or service you use for work needs an OS to run on. And Xubuntu makes a perfect choice for when you need efficiency and speed over beauty and different windows effects. "Simplicity of visualization and personalization in the system." I am surprised by its light distribution with functions that are limited to using large resources on the computer, but it has saved capacities for execution and programming, also has a simple but modern, attractive and stable interface. All means of installation is limited to command and the majority of the programs does not correspond to the system but each one has its version for its respective system. It is simply the best system to work with if you are computer and designer and that increases the capabilities of your computer, it is a bit difficult to get used to but it will be worth it. Its work modules make any digital designs very stable since you can conform with simple procedures and have enough support for your computer. It is more of a command line interface, so Windows GUI is much better than it. Ubuntu is not very user-friendly as other operating systems like windows is, especially for beginners they have to struggle a lot to get a habit of it. Default Theme is also a bit dull, however, it can be customized. I am currently maintaining our business website in Ubuntu. Daily tasks such as writing SQL queries, HTML codes, C++ programming is done in Ubuntu. It has all the features which we need to support our development. Xubuntu handles the fallacies of gnome environment and makes it more intuitive. Most of the people prefer a MacOs for development because it supports the linux kernel natively and still doesn't use Ubuntu as the primary Os. Xubuntu solves that and makes it more intuitive. Xubuntu is very intuitive but still lags behind the MacOs and sometimes the Gnome UI. I felt the lack of market penetration leaves Xubuntu with less support of community like less stackoverflow pages to solve the common issues. Make it more mainstream. Add better customer support and FAQ pages. I like that it was fast, even on old hardware. It had a lot of pre-installed games that were fun to play. I didn't like the fact that the menu was a little hard to navigate through to find what I was looking for. It is good for older hardware and users that are willing to navigate through an operating system to find what they need. The only problem we have solved with Xubuntu was not having to spend a lot of money on Microsoft licensing. "Xubuntu, Fast, Light, and Secure OS"
It will basically run on a toaster. Turn older laptops into worthy machines again. Nothing. Perhaps people who are not use to linux wouldn't prefer it over flashier shells. Give Linux a shot, start using it as your main operating system. Harness the power as an admin it will give you plenty of options to choose from, unlike other operating systems. Getting the use out of older desktops and laptops again. Works relatively well even on old hardware.The pre installed softwares are very well thought. As a server. As a daliy productivity distro too. "A Lighter version of Ubuntu"
I like ubuntu, but sometimes I need just few features of the Linux and Xububtu fulfills the need. Plus I like the interface more than Ubuntu. It was a great experience using this. Have not fiund anything I don't like yet. "Extensive user for big data development"
Flexibility and it's a flavour of ubuntu. Open source, support from community, easy install. XFCE and Gnome, I'd choose XFCE anyday. * We monitor all Xubuntu reviews to prevent fraudulent reviews and keep review quality high. We do not post reviews by company employees or direct competitors. Validated reviews require the user to submit a screenshot of the product containing their user ID, in order to verify a user is an actual user of the product. Hi there! Are you looking to implement a solution like Xubuntu?